The sun is shining, school has finished and we finally have a garden perfect to play in so now I’m on the hunt for some great giant garden games for us. First up is Giant Kerplunk which we made for our school Summer Fair, it was almost a disaster at the time as it collapsed, but luckily a handy parent managed to fix it and we’ve since added some extra support and pink paint to brighten it up. I am also loving this giant version of Guess Who. This DIY Giant Yahtzee is amazing from Momtastic. 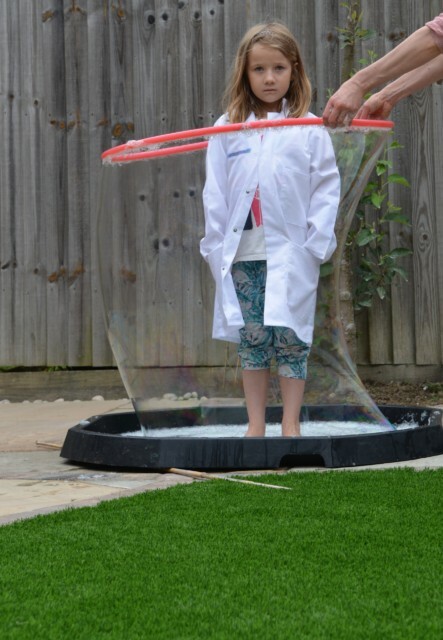 Put yourself in a bubble like Science Sparks. 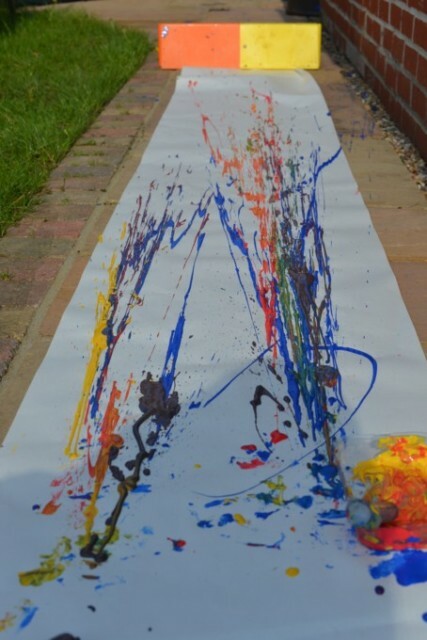 Have hours of fun with this homemade giant water blob! 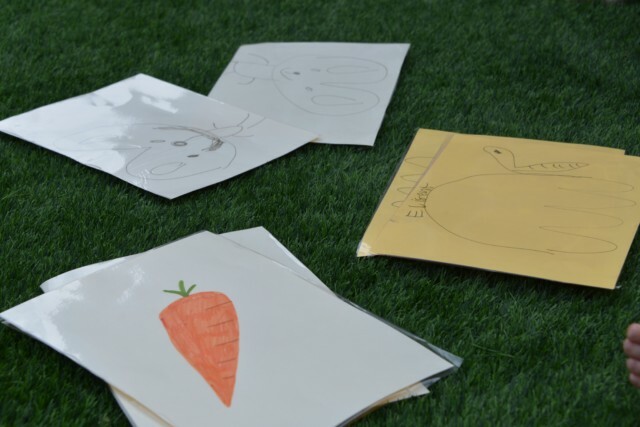 Make your own giant Memory game, using A4 sheets of card. Or, how about making some giant ice sculptures to melt? If you use syringes or droppers it’s great fine motor activity practice too! This syringe painting looks like brilliant fun. 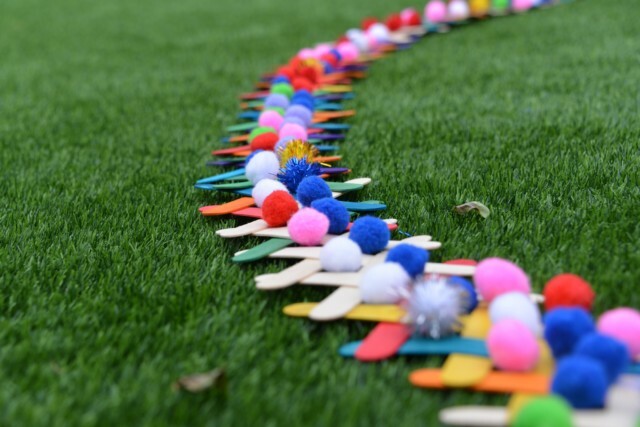 We also LOVE this lolly stick chain reaction. 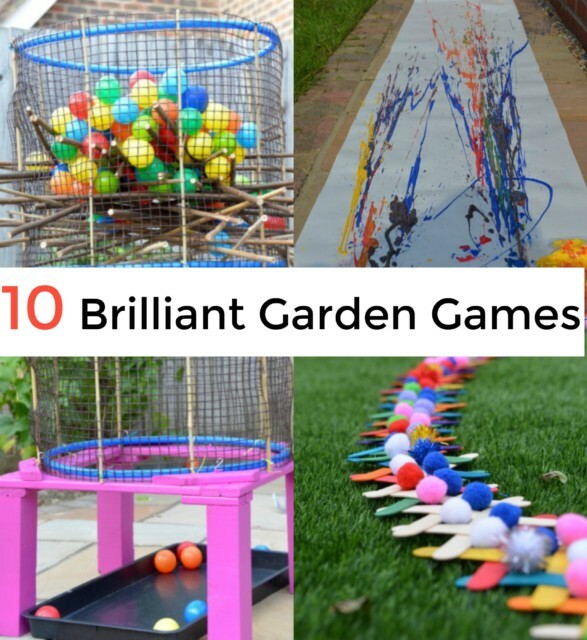 What are your favourite garden games? Oh my goodness, I love the kerplunk and the massive bubble! I need to go and get the kids outside! I love the look of your giant Kerplunk, really clever. 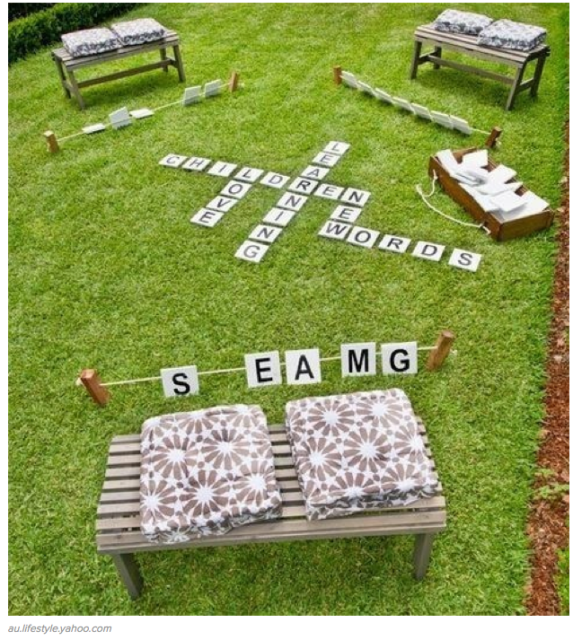 I would love a couple of giant games for the garden but I would never have thought about making one. Oh I adore your giant kerplunt. I want one now! In fact all of these are amazing. I love your Kerplunk – that brings back memories! We have a giant Snakes & Ladders at our house that comes out every summer in the garden! Enjoy the rest of the summer! 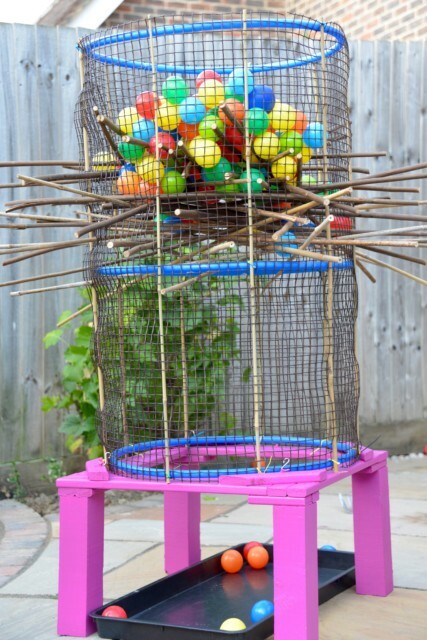 I so need to make giant kerplunk – it looks like so much fun! Kara Guppy recently posted..Potty Training 6 Weeks In! Love giant Kerplunk always a favourite when I was a kid. I really really want to play giant kerplunk now! Cass Bailey recently posted..How to earn money from your driveway…. I am loving them all especially the Kerplunk ! Oh I really fancy putt ing one of the kids in a giant bubble! it looks like so much fun! I do love playing giant Kerplunk.